Home › Uncategorized › Truck Accidents: How do the Truck Accident Attorneys prove the case? Serious injury or death often occurs when a 18 wheeler collides with a passenger vehicle on the roads, streets, and interstates. It is really a matter of physics when a big commercial truck weighing approximately 80,000 lbs. strikes a passenger car that typically weighs 3,000 lbs. to 4,000 lbs. the big truck wins the collision every time. There are about 500,000 truck accidents that occur in the U.S. every year. The results of most of these big truck accidents are catastrophic injury or death to the people struck by the big commercial truck. 1. Police Report: The police report is always an extremely important document since the police often investigate the accident scene and note important evidence such as witnesses, skid marks, driver’s comments, etc. 2. Trucking Rules of the Road: Experienced truck accident lawyers will use the “Rules of the Road and the Trucking Rules of the Road” when deposing the truck driver defendant because this often reveals conduct that is unacceptable in the truck driving industry. 3. The Truck Company’s Incident Report: These reports often are helpful to determine how the truck driver first reported the truck accident to their employer. 4. Videos and Photographs: Photographs of the accident scene can be very useful establishing how the collision occurred. However, many commercial trucks are equipped with video cameras so getting any video from the truck driver’s commercial truck camera can also be very helpful. 5. Inspection of the Commercial Truck: The damage to the commercial truck can be helpful in establishing how the accident occurred. It is also important to review the repair records to make sure the commercial truck was being properly repaired. Most commercial trucks built after 1996 are equipped with a black box that records the speed of the truck, the braking of the truck, and other critical measurements of how the truck was being driven at the time of the collision. 6. Loading Logs: It is also important to review the loading documentation to establish how much weight the truck was carrying at the time of the accident. If the load was not properly loaded or if it was overloaded, then this could help establish additional negligent acts. 7. Truck Company’s Incident Report: The truck company’s incident report created when the truck driver first reported the accident to their employer. 8. Truck Driver’s Videos and Photographs: Any videos or photographs made from any cameras attached to the big truck that may have captured how the accident occurred. Many big trucks are equipped with cameras and many truck drivers are instructed to take photographs of the accident scene. 9. Little Black Box: A thorough inspection and investigation of the commercial truck can lead to helpful evidence of liability and negligence. Trucks made after 1996 often contain “the black box” which is an electronic control module that stores information about how the truck was being operated at the time of the accident. Accident Scene Investigation: Investigate the scene by photographing, measuring, and mapping out how the collision occurred. Truck Company’s Past Accident and Safety Records: Research the company and the truck driver regarding past accidents and safety violations. Truck Company Fuel Records: Get all relevant fuel purchase reports and receipts. Truck Company’s Internal Safety Policies: Get copies of the internal safety policies and procedures. DOT Audits: Get copies of all DOT audits for past five years before the collision. (9) Get copies of the maintenance files on the tractor. Truck Company’s Document Retention Policies: Get copies of the document retention and destruction policies for the trucking company. Dispatcher Communications: Get copies of the communications records between the truck driver and the dispatcher for 6 months prior to the collision. Board Data Recorders: Get copies of date from all on board data recorders. Truck Companies Investigation: Get copies of the data (fact) portion of the trucking companies investigation of the collision. Get copies of the photographs, drawing, and determinations. DOT Records: Get copies of the reports form the truck company to DOT or any other government entity. Truck Company Contracts with Driver: Get copies of the contracts, leases, or other written agreements between the truck driver and the trucking company. Since big trucks are more dangerous to the other drivers on the roads and highway, most jurors will agree that the commercial truck drivers should be more careful when driving these enormous tractor trailers. Careless and reckless driving by truck drivers is truly playing Russian roulette with the lives of the public. Medical Expenses (past and future): It is critical for people injured in big truck accidents to hire a truck accident attorney because their damages are usually astronomical. Medical bills for traumatic head injuries, spinal injuries, herniated disc injuries, crushing injuries, and other catastrophic injuries can quickly reach hundreds of thousands of dollars. Unfortunately past medical expenses are often only the tip of the ice berg when you look at the future treatment expenses which may even include home nursing care, additional surgeries, and on going pain management. Home nurse care alone may cost about $3,300 per month or $39,600 per year. If the catastrophically injured party is 30 years old at the time of the truck accident, then their life expectancy is about 39 years. This means that the future projected cost for future home nursing care would be about $1,544,400.00. Future medical is often established by the use of Life Care Plans to fully project out the cost of all aspects of the needed future medical. Lost Wages or Income (past and future):An experienced truck accident attorney would also seek reimbursement in the personal injury claim for the past and future lost wages. The past lost wages can be based on the current employment situation of the personal injury claimant. However, economists are often used to establish what the likely or probable future earning capacity including the likely earning increases that would have likely occurred. Pain and Suffering (past and future): Good truck accident attorneys are often able to convince jurors during a truck accident lawsuit that the catastrophic injuries caused enormous pain and suffering during the treatment and recovery phase. However, for catastrophic cases the injured party is entitled to future pain and suffering based on their life expectancy if the injuries will continue to disable them for the rest of their life. Punitive Damages (when applicable): Injury victims of truck accidents are entitled to punitive damages if the truck driver was guilty of drunk driving (DUI), hit and run (leaving the scene), or other egregious conduct that demonstrates a “reckless disregard for human life”. What information is often stored in “the black box” that is on many big trucks? 1. What speed is the truck’s governor set at? This means what is the top speed that the truck is limited to by the device called a governor. 2. What is the highest speed the truck has ran and the date it happened? 3. What are the percentages of speeds? 4. The black box also records the last three hard brakes. Hard brakes are defined as when the truck reduces its speed by more than seven miles per hour in one second. 1. The driver’s logs for the six months preceding the collision. 2. Co-driver’s logs for the six months preceding the collision if they are team drivers. 3. The driver’s qualification file and personnel file. 4. The company incident report of the truck accident. 5. All trip receipts, weight tickets, bills of lading, and operational documents. These items could be used to audit the truck drivers logs for accuracy. 6. Satellite tracking (GPS) information for the 6 months before the crash. 7. All compliance audits of the driver including all seventy hour reports. 8. Any receipts from ComData or similar expense and cash advance services used by the truck carrier. 9. All information contained in the black boxes. Any emails between the truck driver and the truck company and dispatcher. The tractor trailer itself if there is any evidence or allegation of equipment malfunction or failure. 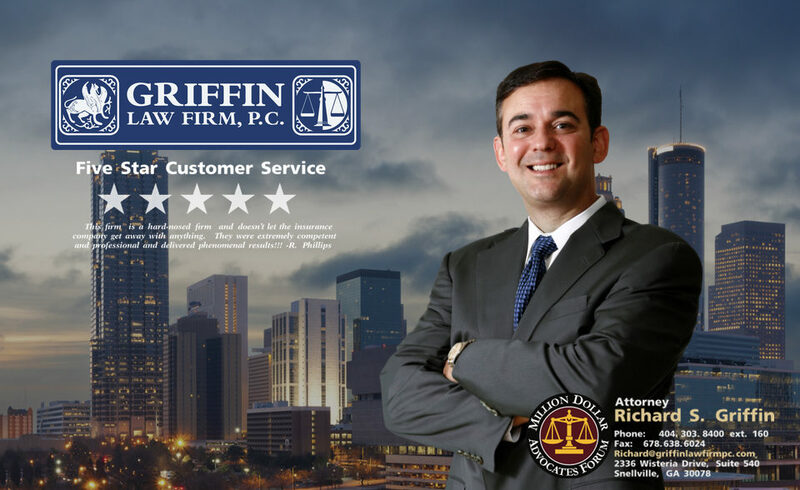 Why should you hire an attorney who specializes in handling big truck accidents? Big truck accident claims are complex so the personal injury lawyer needs to have significant experience handling these types of claims. ‹ What are Permanent Partial Disability Benefits in Georgia Worker’s Compensation Claims?